Nissan is out to prove that a family SUV can do more than take your loved ones from Point A to Point B. The 2019 Nissan Armada goes the extra mile by delivering captivating performance and utilizing cutting-edge safety technologies – and it does it all in style. 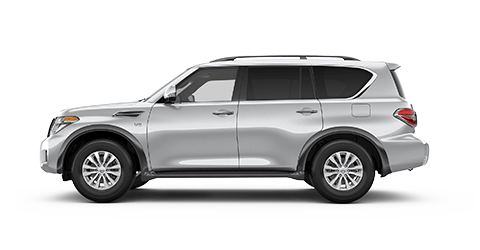 The 2019 Armada has the sort of bold and aggressive styling that drivers throughout the Oklahoma City area will want. Not only does the new Nissan Armada look great, but it is also very well-equipped. The Nissan Armada has standard 18-inch wheels that will turn heads in the Oklahoma City streets. It also has standard LED headlights and LED daytime running lights that look great and increase the visibility of your vehicle to the other drivers on the road. The Nissan Armada also has several practical features, such as the standard roof rails that allow drivers to tie down mountain bikes, kayaks, and other outdoor gear. The Nissan Armada even has standard running boards that make it easier for small children to climb up into the vehicle. If you’re looking for a trustworthy Nissan dealer, Oklahoma City is home to Bob Moore Nissan. We have been serving local drivers for many years with vehicles like the 2019 Nissan Armada. Test-drive the stylish 2019 Nissan Armada at the Bob Moore Nissan dealership today. Get more info about the safety features in the Nissan Armada when you drop by the Bob Moore Nissan dealer, Oklahoma City’s premier destination for family SUVs. Schedule your test drive through our website now. The 2019 Nissan Armada has a large and powerful engine to go with its choice of 2 different drivetrain options. This results in excellent performance that suits your needs and preferences. Nissan wanted getting behind the wheel of the Nissan Armada to be an exciting experience, and they certainly succeeded in this regard. The standard engine in the Nissan Armada is a 5.6L V8 that kicks out an impressive 390 horsepower. This engine is paired with a smooth-shifting 7-speed automatic transmission that also optimizes fuel economy. The drivetrain can be either the standard rear-wheel drive system or the optional 4-wheel drive system, which provides increased traction in challenging driving conditions. Take the Nissan Armada out for a spin today at the Bob Moore Nissan dealership. The 2019 Nissan Armada has the sort of spacious and comfortable interior that a family SUV should have. It has a standard 3-row seating configuration that can accommodate 8 passengers in considerable comfort. 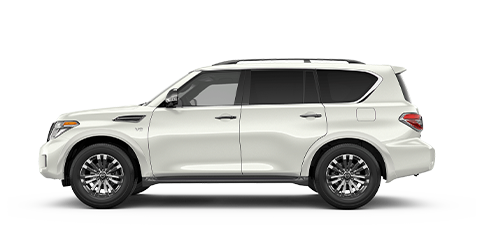 The 2019 Armada also has an abundance of cargo space for groceries, sports gear and anything else you may need to pack away. Additionally, the new Nissan Armada has multiple features that add more than a little luxury to the practical interior layout. The 2019 Armada includes standard dual-zone automatic temperature control for optimal comfort that occupants throughout the vehicle can enjoy. The new Nissan Armada also incorporates a heating element into the standard front seats to keep occupants warm during those cold Oklahoma City winters. The 2019 Nissan Armada even includes standard cargo-area under floor storage to allow you the maximum amount of cargo space possible. Experience the spaciousness and luxury of the new Nissan Armada at Bob Moore Nissan, Oklahoma City’s preferred Nissan dealership. Come in for a test drive today. The 2019 Nissan Armada features the sort of cutting-edge technology that drivers have come to expect from Nissan. The 2019 Armada includes a standard 13-speaker Bose® audio system that may just be the finest standard audio system out of any SUV in the segment. The Nissan Armada also incorporates standard HD Radio® to allow occupants to listen to their favorite stations in style. The 2019 Armada even includes standard SiriusXM® satellite radio. Check out the innovative technology in the new Nissan Armada when you swing by Bob Moore Nissan, Oklahoma City’s leading destination for family SUVs. The 2019 Nissan Armada is here waiting for you to test-drive it today.